Thematic Pack "Legends and Myths"
Since the first issue of "Legends and Myths" released by Macao Post in 1994, 10 issues of the series were released until 2012, which themes are based on well known western and eastern legends and myths. This thematic pack shows 4 issues of this series released between 2003 and 2012, including issues of "Liang Shanbo and Zhu Yingtai" on 2003, "God of Guan Di" on 2004, "The Legend of the White Snake" on 2011 and "The Cowherd and the Weaving Maid" on 2012, with the aim of transmitting the knowledge of Chinese tales to the next generations. Macao Post will launch the thematic pack “Legends and Myths” on 1st March 2014. 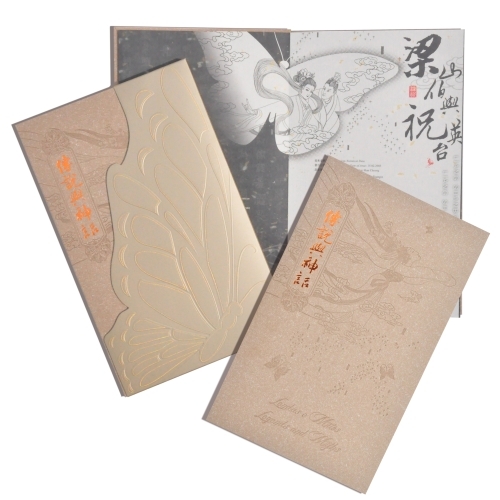 This exquisite pack with the four stamp issues dedicated to Chinese Myths will certainly be a collectable item at reasonable price. The thematic pack is priced at MOP220.00. It will be available for sale at the Philatelic Shop of Macao Post Headquarters, Rua do Campo Post Office, Maritime Ferry Terminal Post Office, Airport Post Office and the Communications Museum. Get the opportunity to add value to your collection!